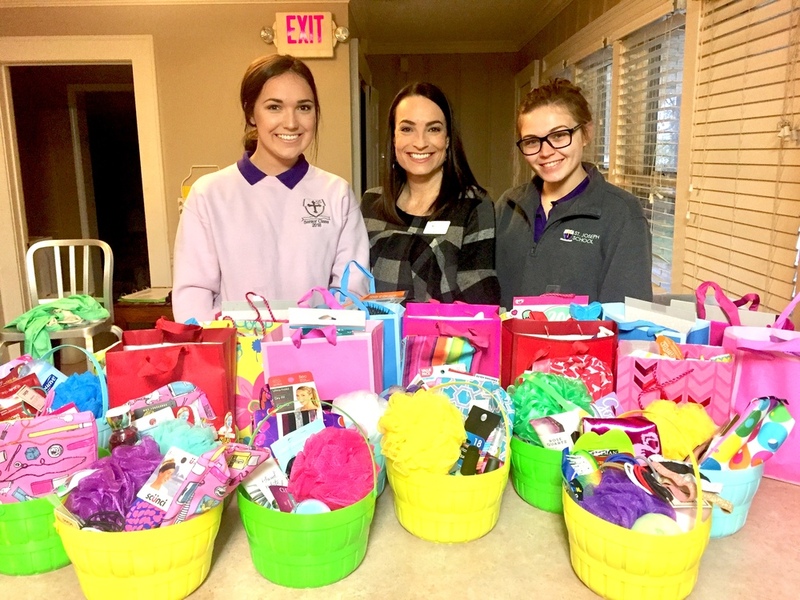 The St. Joseph High School Interact Club assembled Easter baskets for residents of Conway's Haven House on March 28th. The Interact Club is a service organization affiliated with the Conway Rotary Club. H.A.V.E.N (Help for Abuse Victims in Emergency Need) House is a residential group home for adolescent females who have come into foster care at no fault of their own.It was established in 1986 by Mary Aleese Schreiber who recognized a need for a local shelter. She was serving as the national president of Junior Auxiliary which continues, along with the Conway community, to provide strong support for Haven. There are currently 12 young girls residing at Haven ranging from 11 to 17 years of age. Each girl was given a basket containing lotion, face masks, nail polish, hair accessories, toiletries, and other items. They were collected voluntarily from Interact Club members.
" This was kids helping kids," Haven House Executive Director Marti Jones said. "Whenever students get together and help other girls of their same age, they're not only showing other kids that somebody cares about them that doesn't know them. They're also demonstrating compassion."